Artist Peng Yun and Jiu Society will participate in White Rabbit Gallery exhibition ” HOT BLOOD”. This exhibition opens on March 15, and will last until August 4. HOT BLOOD introduces 23 artists who are not afraid to take risks. Playful, irreverent – and sometimes downright subversive – they explore subjects ranging from sexual desire and bodily frailty to spiritual ecstasy and the need for human connection. These global artists inhabit a complicated world; they are as likely to be found showing their work in Berlin or Beirut as in Beijing. Whether they emerge from a generation of cosmopolitan millennials or from an older avant-garde generation such as Xiao Lu and Yin Xiuzhen, they refuse to be labelled or limited by gender, age or national identity. Peng Yun was born in Sichuan in 1982. She holds a BA in Oil Painting from Sichuan Fine Arts Institute in 2003, and an MA in New Media from China Academy of Art in 2007. Peng now lives and works in Macau. 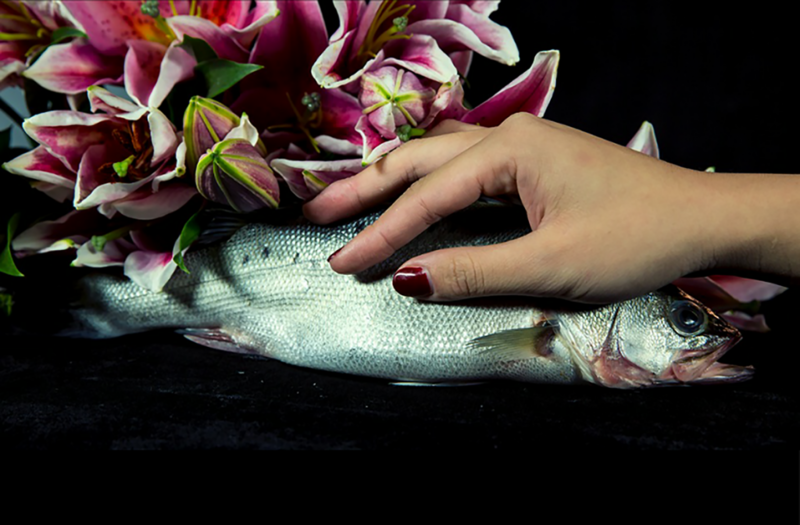 As a female artist, active in fields of video and performance, Peng Yun has been keenly and persistently exploring female consciousness with her gender identity. From “Summer of Xiaoduo” in 2009 to video “SARA” as most recent work, the artist’s projects demonstrate a reflection of roles and changes in female psychology along her development as an artist. Recent exhibitions include: Between China and Portuguese-Speaking Countries Annual Arts Exhibition, Macao(2018); Presence Young Artist Exhibition, Hangzhou, China(2018); Screen Refreshing/Labor: AMNUA Photography Exhibition 2018, Nangjing, China(2018); Women Artists 1st International Biennial of Macao, Macao(2018); Now: A Dialogue on Female Chinese Contemporary Artists, Manchester/ Nottingham/ Middleborough/ Essex/ Liverpool/ London, UK(2018); WE, Montreal, Canada(2017); The Sweet Life?, Hangzhou, China(2017); Souls Which Are One Shall Meet, Berlin, Germany (2016 solo exhibition); Danube Video Art Festival, Grein, Austria (2016); Peng Yun & Jose Drummond– A midsummer night’s dream, Macau (2015); Polyphony III, Nanjing, China (2015); Photo Shanghai 2015, Shanghai, China (2015). 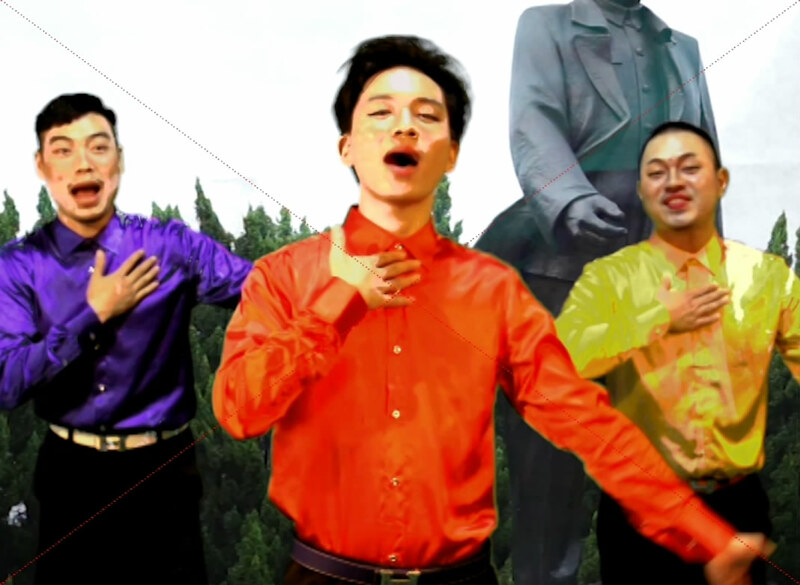 The group consists of three members, Fang Di, Ji Hao and Jin Haofan. 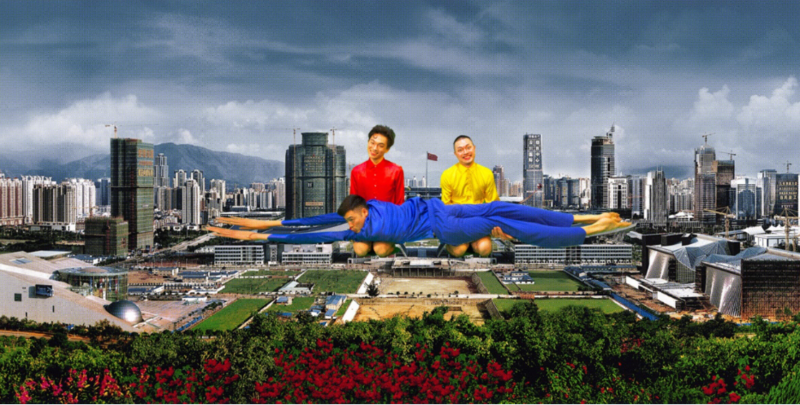 The three young artists are all born and raised as a new generation of Shenzhen citizens in this immigrant city. Shenzhen to them is not anymore what to their parents – a place to make money. They examine Shenzhen, their own city, with their fresh perspectives and make themselves heard. Recent exhibitions include: Bi-City Biennale of Urbanism\Architecture, Shenzhen, China(2017); GAS STATION Ⅸ: dà qǐ dà luò, Vanguard Gallery, Shanghai, China(2017 duo exhibition); Lost in Shenzhen, 33 Artspace, Shenzhen, China(2016); Vertical Scence, Guangdian Cultural Creative Town, Shenzhen , China(2016); The 2nd(Yantian)Young Artist Week– The Floating Scenes, Shenzhen , China(2016).